Only 17 examples of the exclusive new DS 4 Crossback Terre Rouge will be available in the UK. 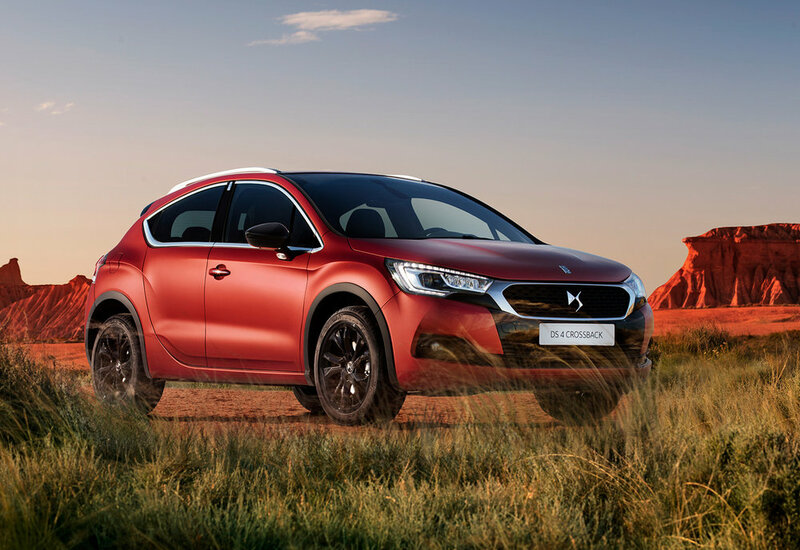 On sale in the UK from 1 November 2016, the DS 4 Crossback Terre Rouge is a highly specified Limited Edition with a ‘fashion inspired’ body colour, cutting-edge technological features and is powered by the BlueHDi 180 diesel engine. The car is finished in a unique and 'highly resistant' matt Tourmaline Orange body colour, exclusive to DS Automobiles and one which contrasts with the tinted rear windows. The limited edition DS 4 runs on 18-inch ‘Brisbane’ gloss black alloy wheels, and is also equipped with front parking sensors, blind spot monitoring system, a Black Basalt leather upholstery and aluminium sports pedals. Described as a ‘dynamic and refined’ alternative to classic hatchbacks, it has an elevated driving position (by 30mm), wheel arch embellishers, roof bars and panoramic windscreen, perfectly embodying the spirit of avant-garde, says the French company. The new Limited Edition features a range of technological equipment including Mirror Screen technology comprising of Apple CarPlay and MirrorLink, 7-inch colour touchscreen and LED Vision technology for the headlights offering a clearer view of the road with light beam intensity increased by 51%. The reversing camera, keyless entry and lane departure warning system add ease to the driving experience. The DS 4 Crossback Terre Rouge Limited Edition is available with the BlueHDi 180 engine with Stop & Star,t mated to the EAT6 auto gearbox, and is priced at £30,045 OTR.